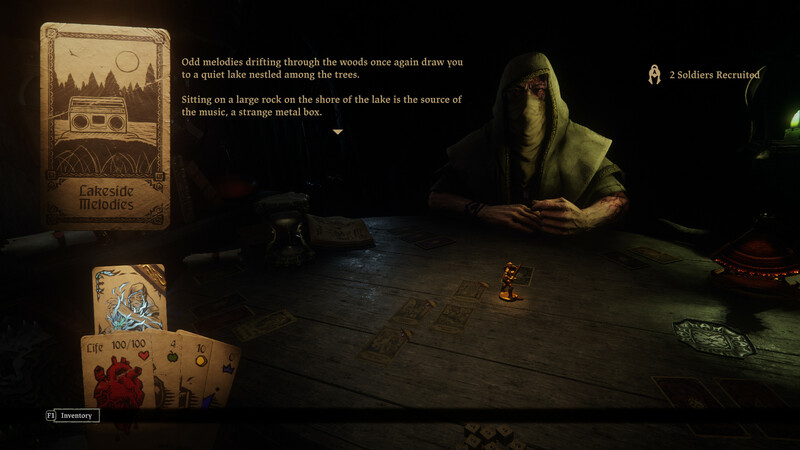 This is a collection of small standalone Hand of Fate 2 mods, each of which can be downloaded separately. Lakeside Melodies - A strange box makes music in the woods. Watch out for fires. 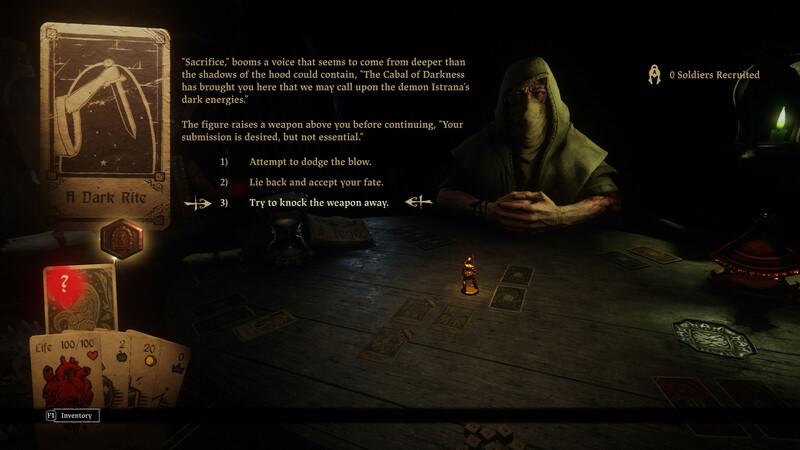 A Dark Rite - The Cabal of Darkness searches throughout the land for sacrifices. Will you be one of them? 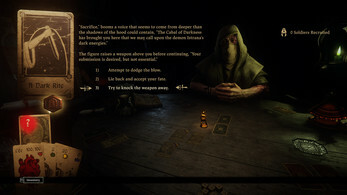 Additional mod resources and content made by me can be found on the Hand of Fate 2 community modding wiki. Note: These mod versions are for non-Steam users. If you are running Hand of Fate 2 on Steam, you can subscribe to them on the Steam Workshop. Once the mod has been installed, you'll need a mod-enabled save slot to play it with. It is recommended that you clone an existing save, as leaderboards and achievements will be disabled for mod-enabled saves, and this process can not be undone. To create a mod-enabled clone of an existing save, select "Load Game / Mods" from the game's main menu, and then click the cog icon to the right of your save slot. If you have any troubles or questions, don't hesitate to ask!